In my humble opinion, too many modern families have no idea how to set a proper dinner table. I guess that’s no surprise when we consider the sheer amount of meals that are thrown at children’s mouths before racing to one activity or another, or even worse, eaten in the car. Let’s get back to the dinner table, folks! Dinner should be an occasion. Every single day. Not just at Thanksgiving. Now, I’m not saying you need to eat from your grandmother’s china and drink from crystal goblets every night, but I think we can at least teach our children how to set the table properly. Of course, the problem with this is that a large percentage of the adult population has no clue how to set the table! This translates to many people not knowing what to do when seated at a formal dinner table. You don’t want to be caught eating someone else’s dinner roll—how embarrassing! 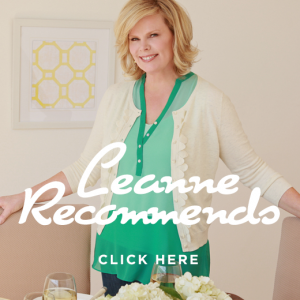 If you follow me on Facebook (and I really think you should! ), you might remember a photo I posted recently where I asked you to spot the problems. That was so much fun for me and after reading all of the comments on that photo, I thought I’d go ahead and give you a refresher on how to set the table. Start with linens. A tablecloth isn’t necessary, but I like using placemats and cloth napkins. 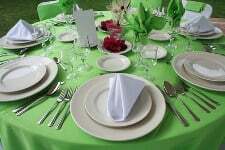 Place the dinner plate in the center of the placemat with the folded napkin placed to the left of the plate. If serving bread, put your bread plate above the napkin. If you’re serving salad, put the salad plate on top of the dinner plate. Your forks go on the napkin—the salad fork goes to the left of the dinner fork. The dessert fork and spoon (if using) go above the dinner plate. Your dinner knife is placed to the right of the dinner plate (blade facing in) and the teaspoon goes to the right of the knife. Place your water glass to the top right of the plate. Now stand back and admire your table! I challenge you to set a proper table this evening for dinner. Learn to really make dinner an occasion that everyone looks forward to. Besides the opportunity for you to all sit around down together and enjoy a meal, you’re giving your children important skills that they may not learn anywhere else. If you make setting the table a priority then eating dinner together will become one. If you do end up setting the table for dinner tonight, please come back and comment, letting me know how it went!